For Kaiden, 12 years old, Kumon is a jump start for his education. The aspiring car mechanic, who studies Maths at Kumon, is no longer struggling at school. 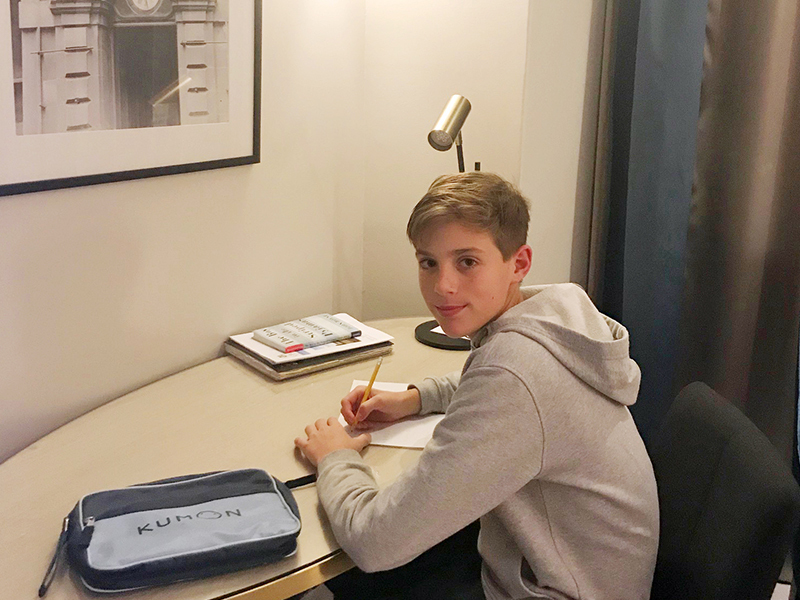 Kaiden has studied with Kumon since 2015. Kumon focusses on helping students build foundational literacy and numeracy skills as well as building student’s ability to solve problems by themselves. Kumon students also learn at a level that is defined by their current ability and aren’t pushed ahead or held back because of their age. “This allows him to build his confidence because he’s not being forced to learn something in a hurry and then move on”, explained his mother, Natalie. Kaiden said that Kumon will also help him throughout his later life. “It’s taught me to focus and concentrate a lot on getting my work completed and try and solve problems on my own”, Kaiden said. “Hopefully if I get a mechanic’s apprenticeship I can use these skills in my studies and workplace”.